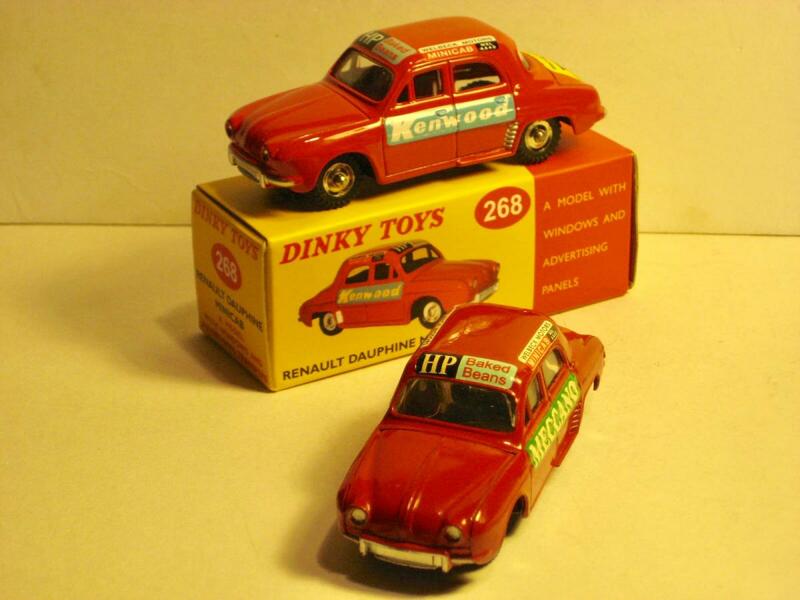 Recently I received 2 red coloured Dinky Toys 24e Renault Dauphines. 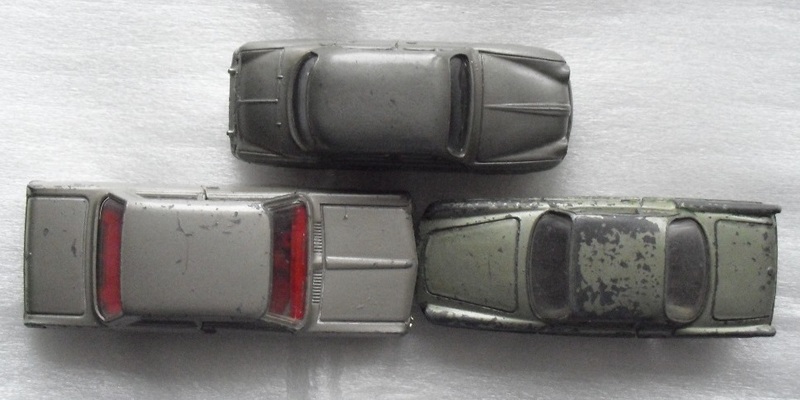 One with a black license plate at the front, together with box 24e and one with a red license plate at the front, without box. Both has 24e number in baseplate. The one with the black license plate at the front appears to be earlier than the one with the red license plate at the front. 4) Rear side: both license plate are black. 5) Left and right side. 6) Both equal base plates with number 24e. 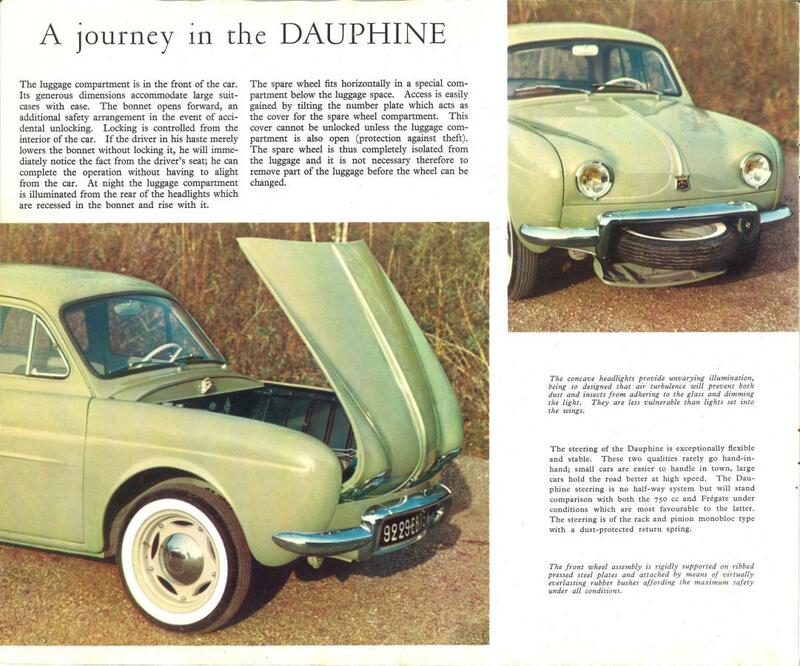 The Dauphine debuted on March 6, 1956 at Paris' Palais de Chaillot with over twenty thousand people attending, two days before its official introduction at the 1956 Salon International de l’Auto in Geneva. 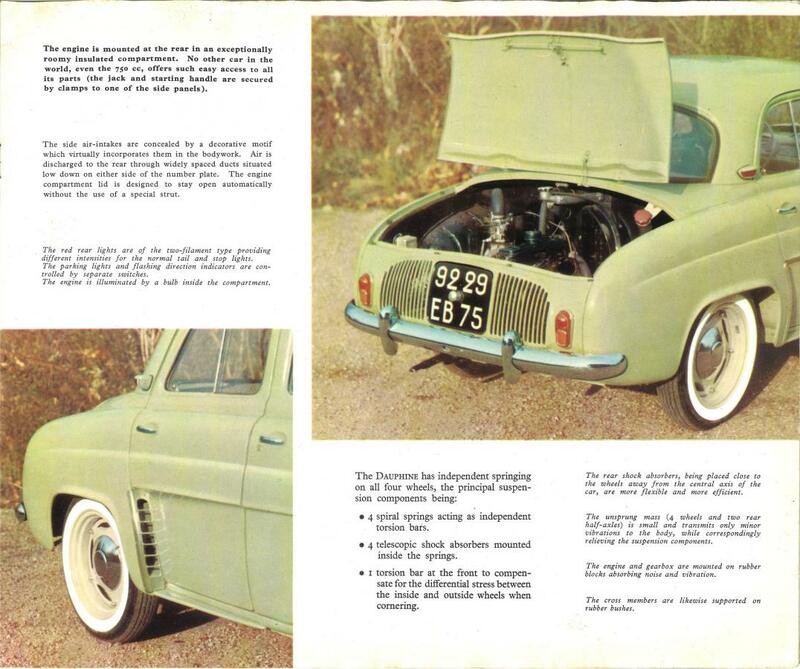 Along with such cars as the Volkswagen Beetle, Morris Minor, Mini and Fiat 500, the Dauphine pioneered the modern European economy-car. 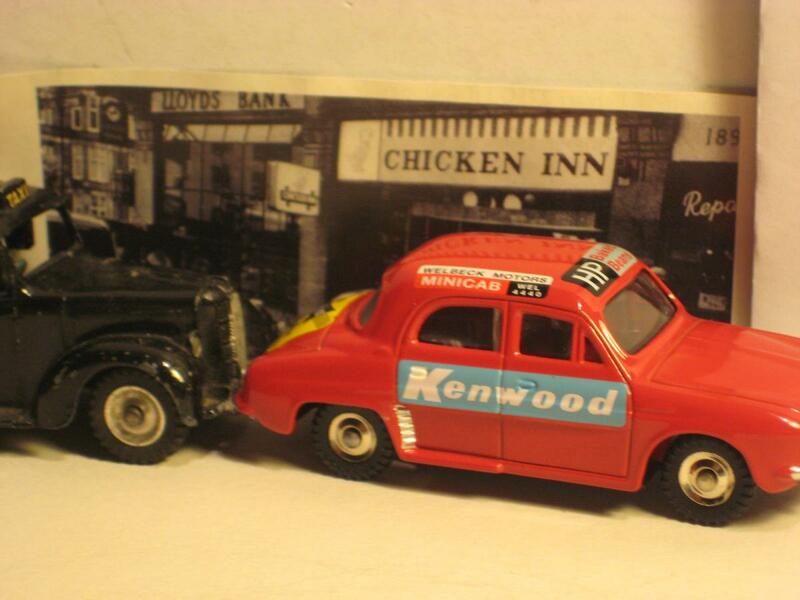 There are different models issued in different colors, both by Meccano Liverpool and Meccano Bobigny. I leave that to others. Kind regards, Jan Oldenhuis, 2 August 2018. 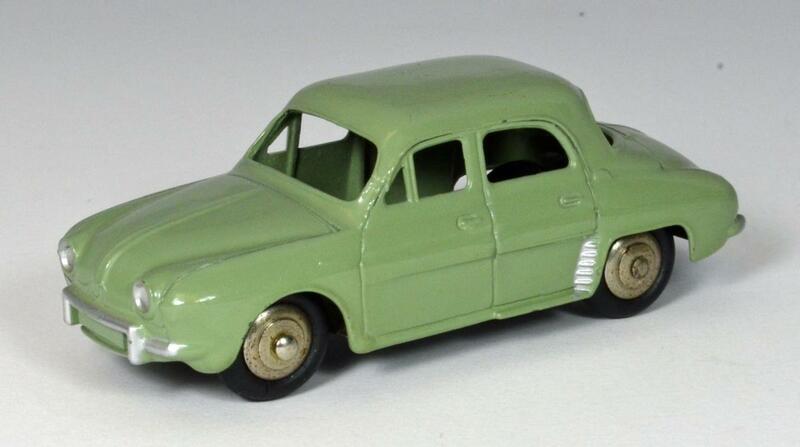 Jan—-Very nice writeup on this popular French car that Dinky Toys modelled so well. 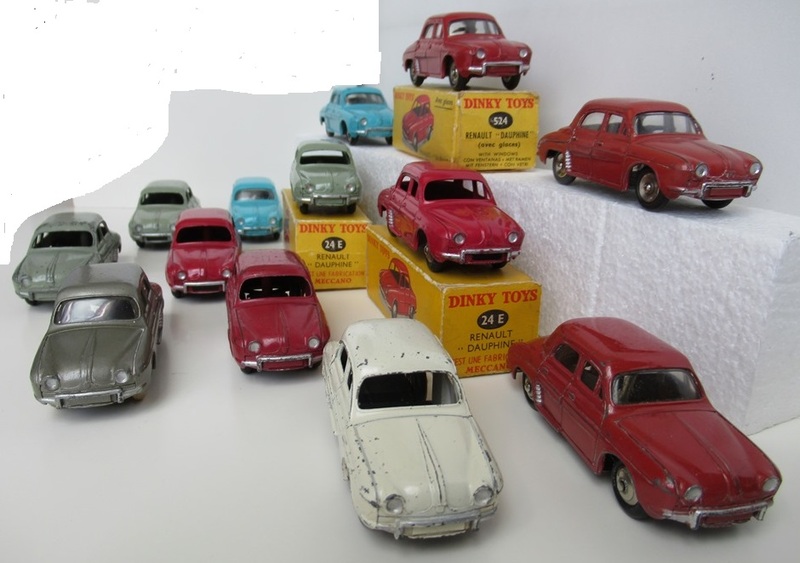 I have often wondered why they did not model the earlier 4cv, as it was exceedingly popular and around for quite some time. I only have one example, and I think it is a fairly early one, as I purchased it new from H.Hudson Dobson in 1958 or so. Mine is the green version, and the front license plate is painted green...the body color. I have no idea when the black license plates was used or added.......maybe Jacques or someone else can weigh in on this. I have a green one whose front and back license plates are both painted black, so clearly this variation can occur regardless of body color! 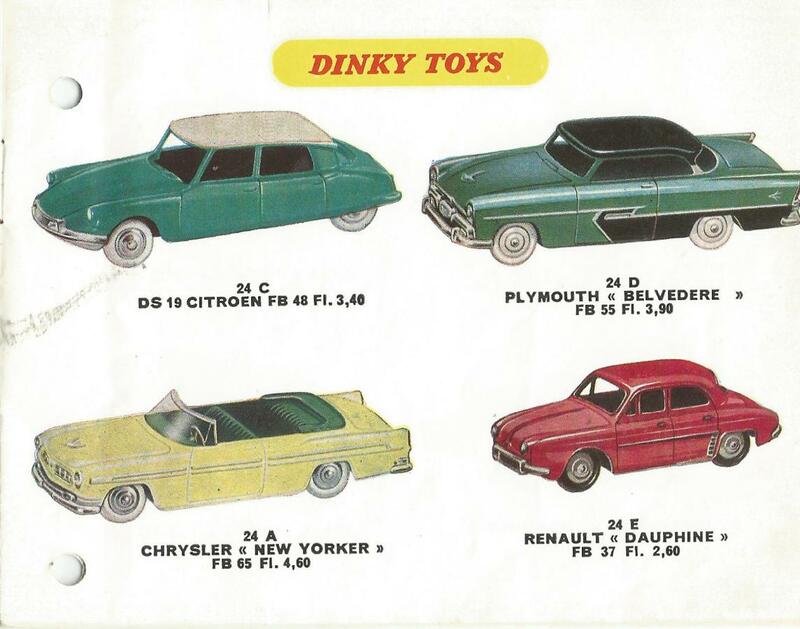 I may have found an answer; I looked in my copy of “Miniatures Dinky Toys serie 24 Francaise”, by Thierry Redemption, and in it he states that only the early, first version had the number plate painted black....the rest were always painted the body color. Not sure that this definitive, but I have found his work to be quite accurate in the past. Call Welbeck 4440. Welbeck Motors was a sizeable enterprise in Crawford St in London’s W1. 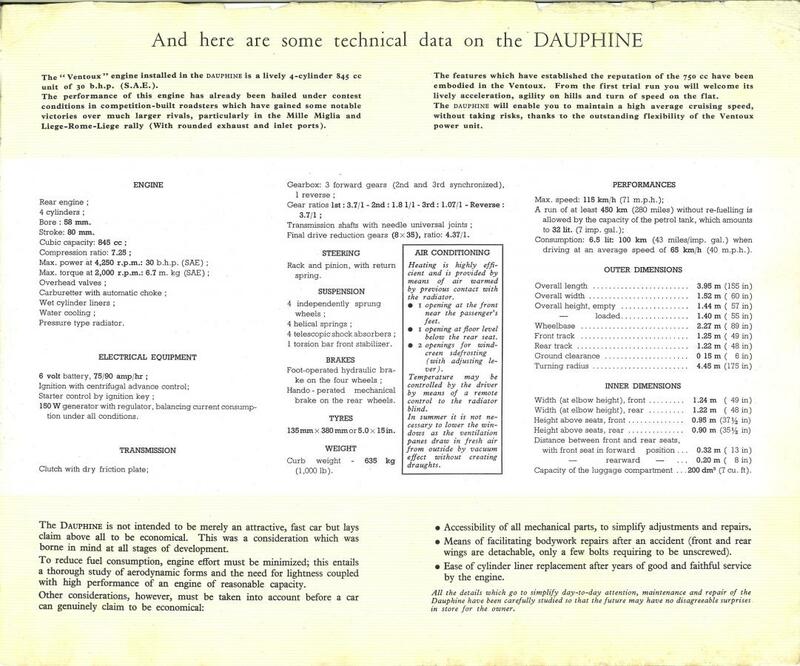 In 1961 the first of a fleet of 200 Dauphines were launched in rivalry to the Hackney Carriage trade (National Archives HO385/7). So much for Uber! 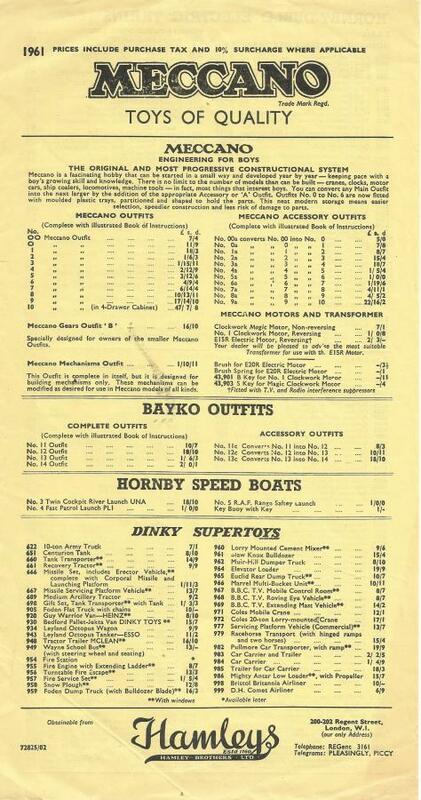 The Dinky model here is in a box marked 2/11, so a bargain when even the ‘62 catalogue says 3/3. 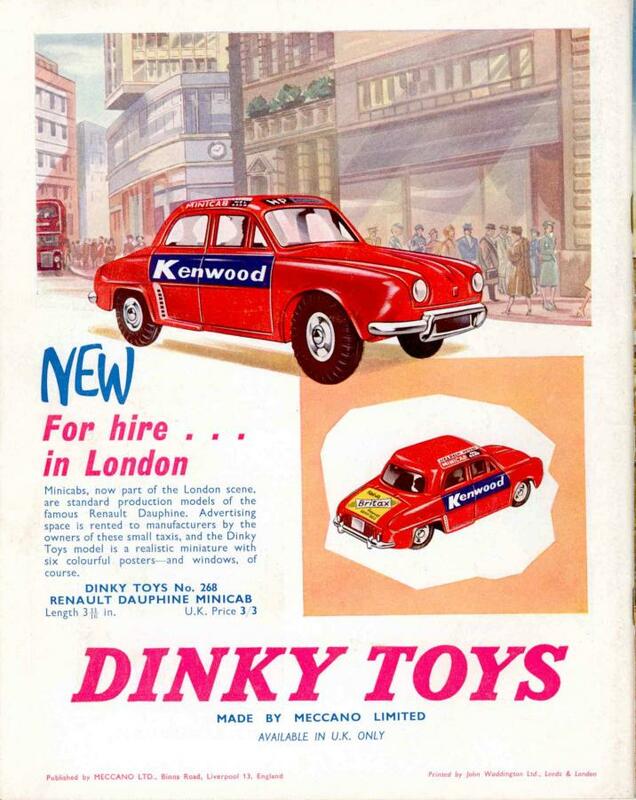 The box has labels ‘A model with windows and advertising labels’ and text referring to ‘The prototype minicab’ suggesting early PR liaison with Dinky. DeAgostini copied the Renault in 2017 but presumably could not apply Meccano labels for copyright reasons; they also forgot the apostrophe on the box ends where it says “Windows and Advertisers’ transfers”. Welbeck were no strangers to controversy, hiring a car to spy Guy Burgess ten years earlier when he needed to flee the country. You made a reply to Jan W., but I can't let it go to react on your very nice contribution. I hope you will understand that. 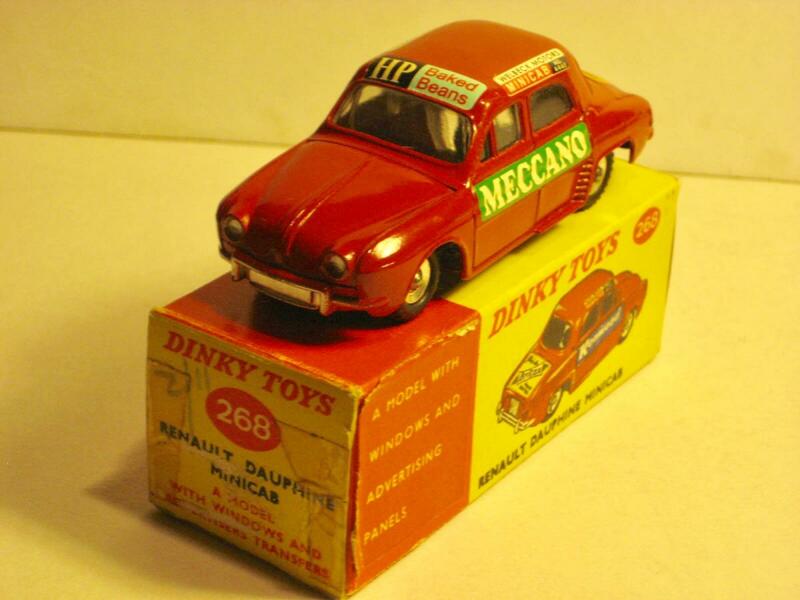 A very nice contribution from you about this very interesting, from origin French Dinky Toys 24e, which was taken over by Meccano Liverpool and was produced as model 268. 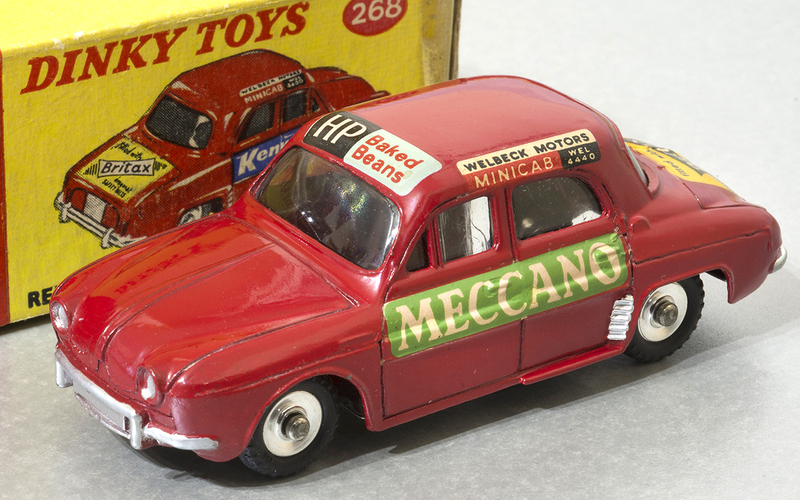 The introduction of this model 268 was described in detail by the Toyman in Meccano Magazine UK of June 1962 with a color advertisement on the last page. 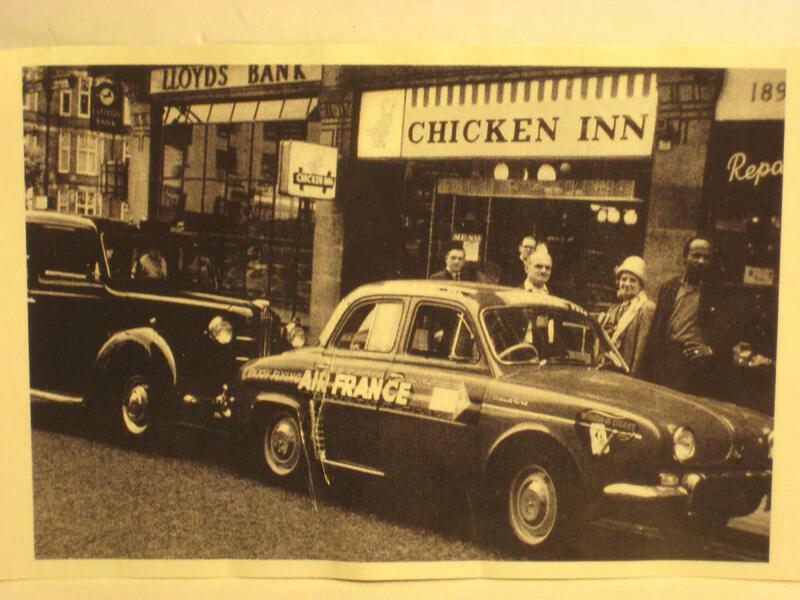 You have very accurately brought the history of this Minicab to light with beautiful pictures. 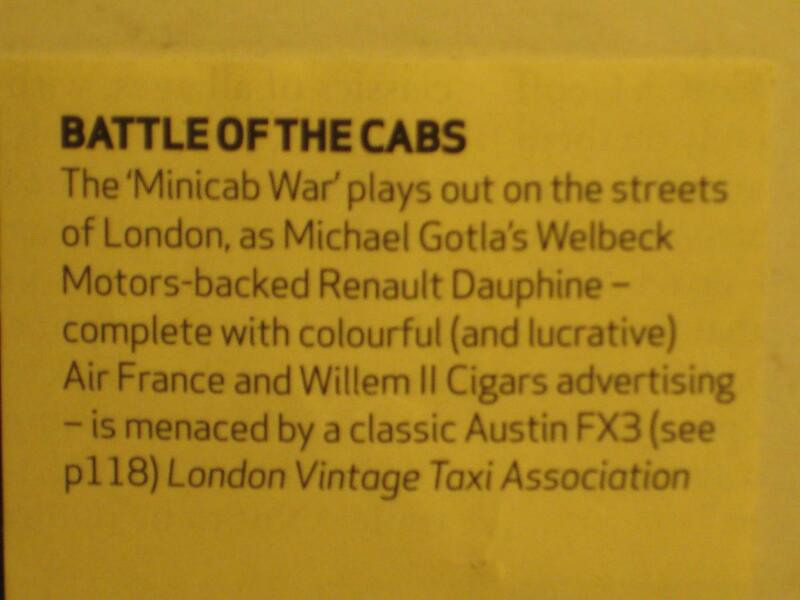 You have to have the courage to use a French-made taxi in London as a competitor for the typical English London Austin taxi, of which everyone knows the typical taxi image of London ... and then also with French advertising !! With this, the British pride was somewhat hurt. The "Air France" advertisement is understandably not taken over by Meccano Liverpool. Indeed an early form of Uber. 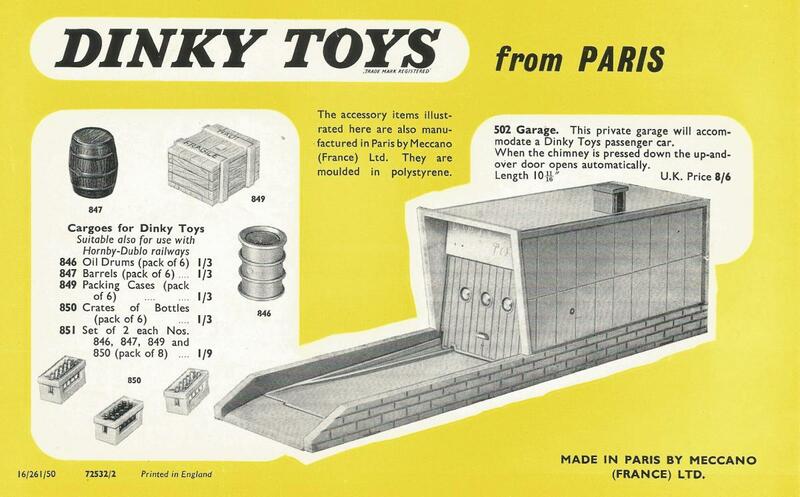 In 1961 and 1962 more French Dinky Toys models from Meccano Bobigny were taken over by Meccano Liverpool and were only sold for the British market with the slogan: "Dinky Toys from Paris". 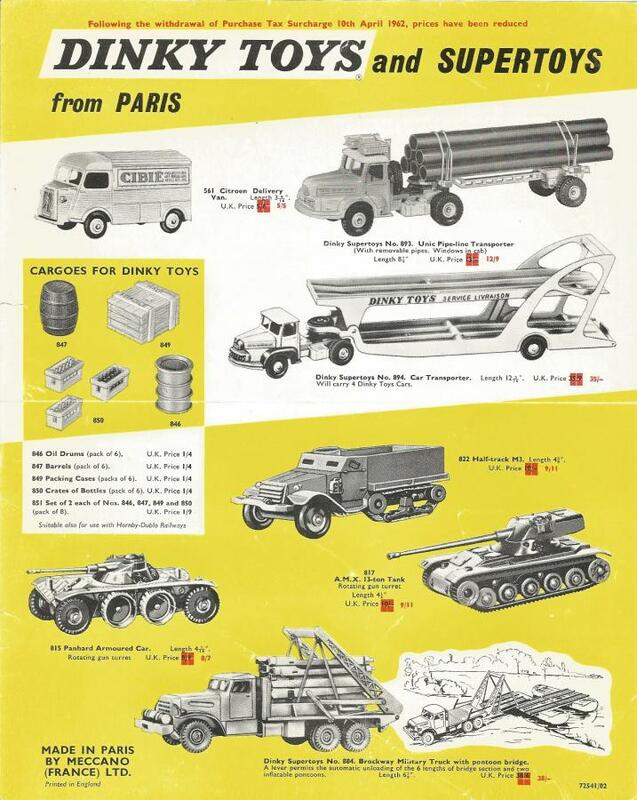 (By the way: All Meccano catalogues France call Bobigny as address.) 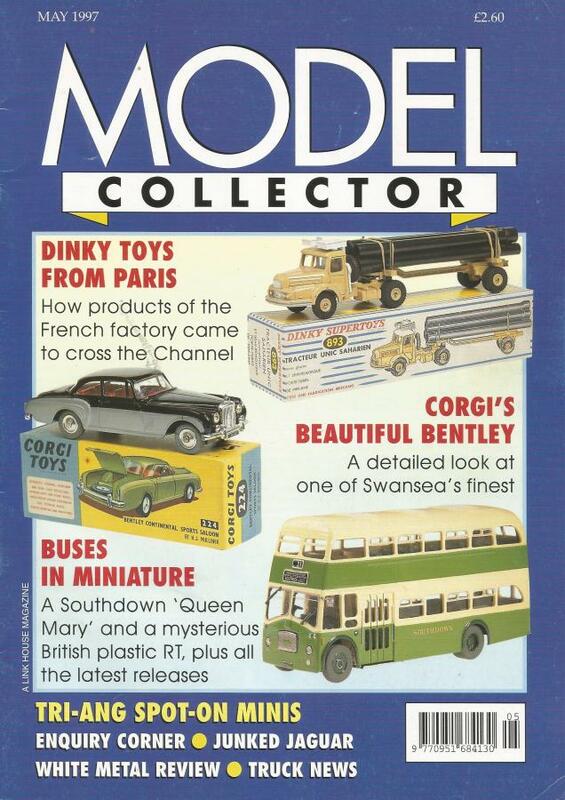 It is remarkable that suddenly in that period so many French models were brought to the British market. 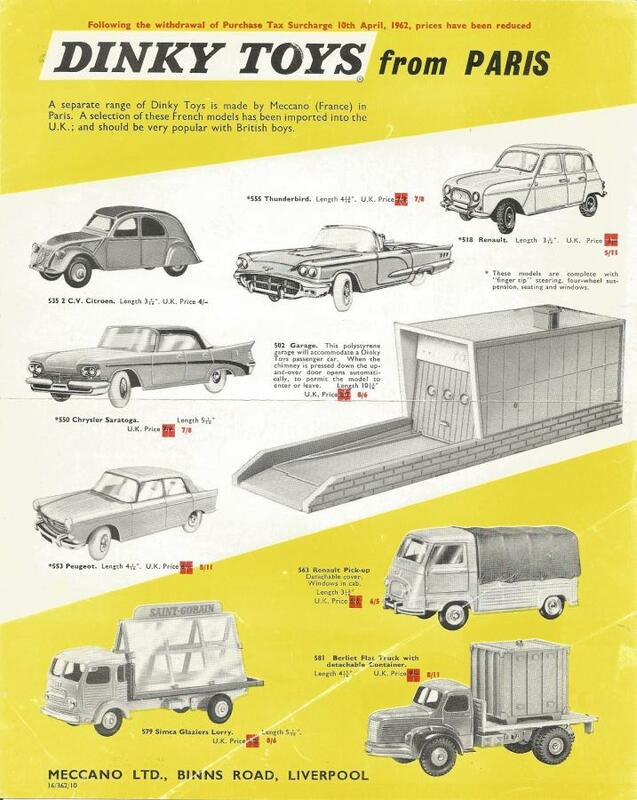 I show some UK leaflets of 1961 and 1962 with this French models for the British market. 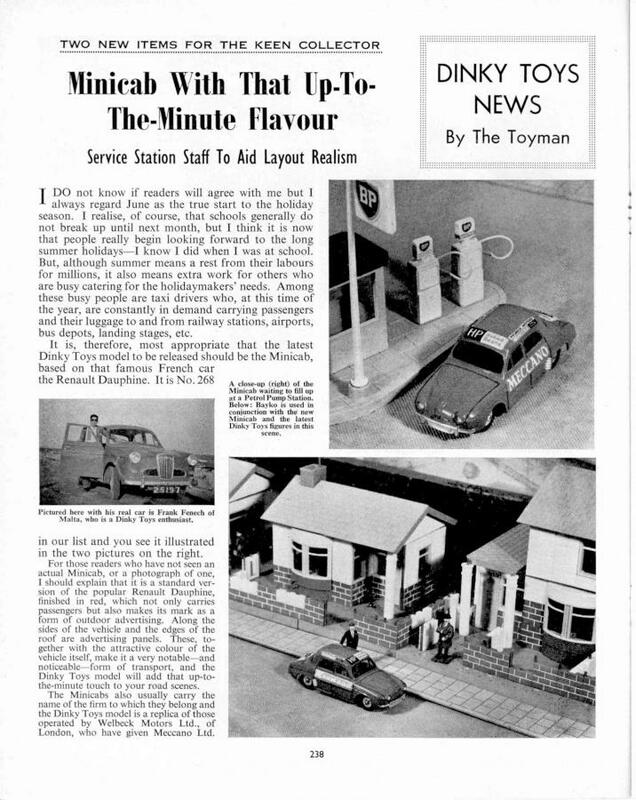 A very nice and illustrated article about that is written by Mike Richardson in Model Collector of May 1997, but he does not show the 1961 UK leaflet, which I show. Patrick, your model looks beautiful, mint and shiny. A very nice acquisition and always beautiful and interesting if the original price is still on the box and it shows that it is long ago also bought for a bargain. Welbeck Motors got a good deal on the Dauphine, which was not a great seller in the UK rusting easily. The owner too probably liked rear engines, as he is noted as driving a Beetle. 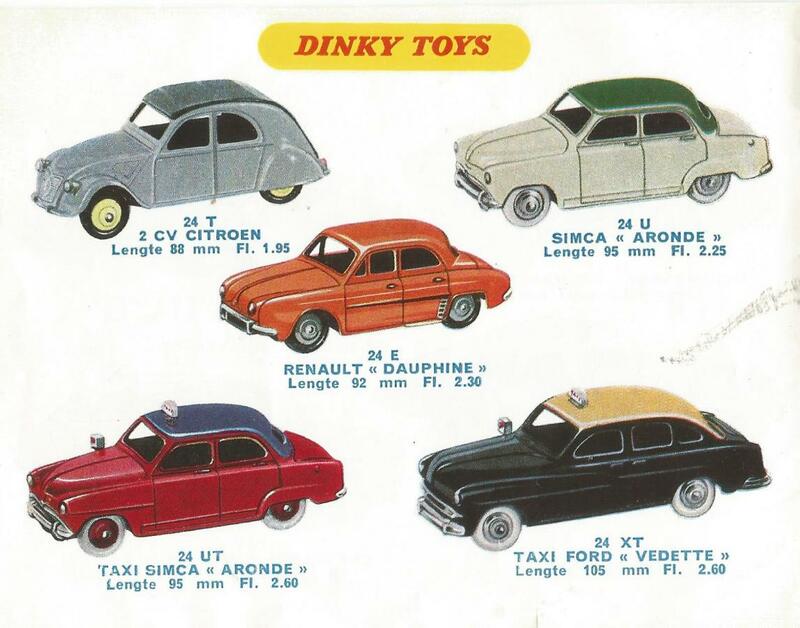 I coveted French Dinkies after seeing them in the Meccano Magazine. As a boy I got 555, 518, 581, 579, and 561 which were all imported to the UK. Of the remainder imported, over the years I have acquired 550, 822, 815, 817, 884, 893, 894, and 563. 884 just last September! From specialist toyshop Hamleys in Regent Street I bought as a boy 549, 558, and 560. When my father went to Paris on business I asked for 826 Berliet Depannage, but he came back with 589 Berliet Depanneuse (so it is still Mint and Boxed). C’est la vie. Patrick, Indeed. 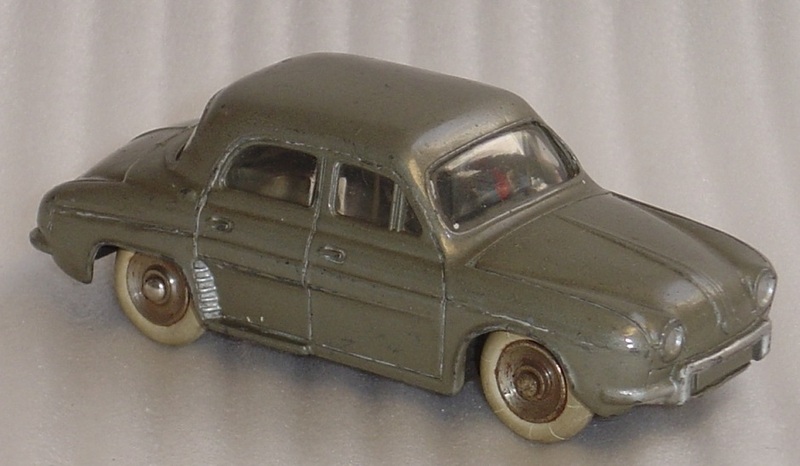 This French car was very sensitive to rust, but your French DT model is beautiful and without any imperfection. By reading MM you went to appreciate the attractiveness of the French models and not for nothing. A proof that advertising has influence . 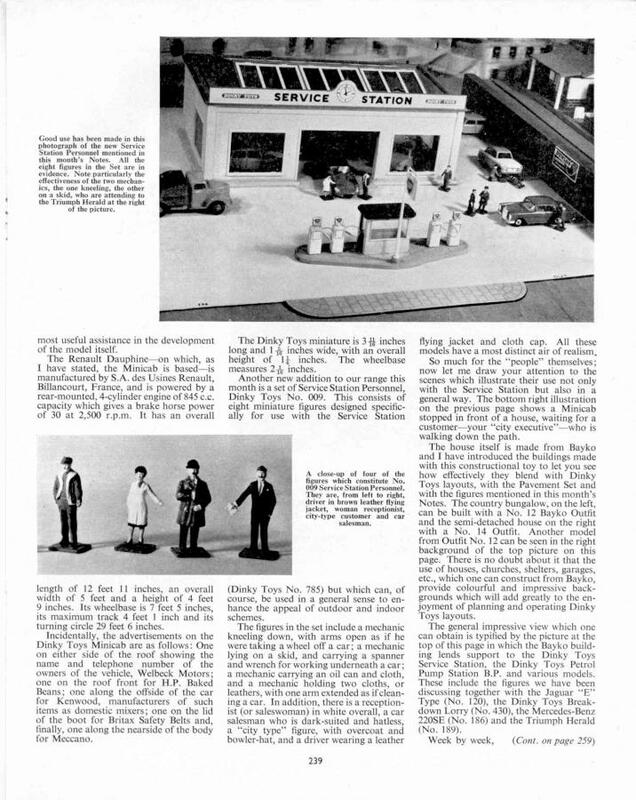 A nice story about how you came to these models. In the meantime you have built up a nice collection of French models. 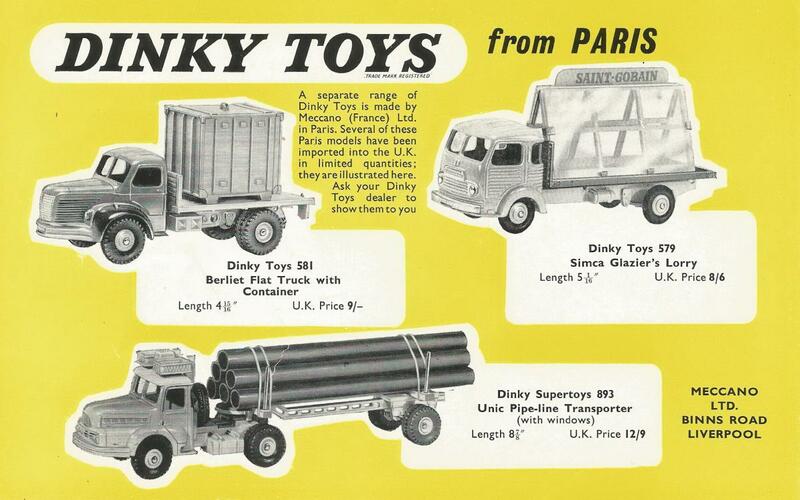 In any case, including almost all models of the leaflet Dinky Toys from Paris. You also bought French models at Hamleys in Regent Street. Did this toy shop directly import French DT models from Meccano Bobigny? 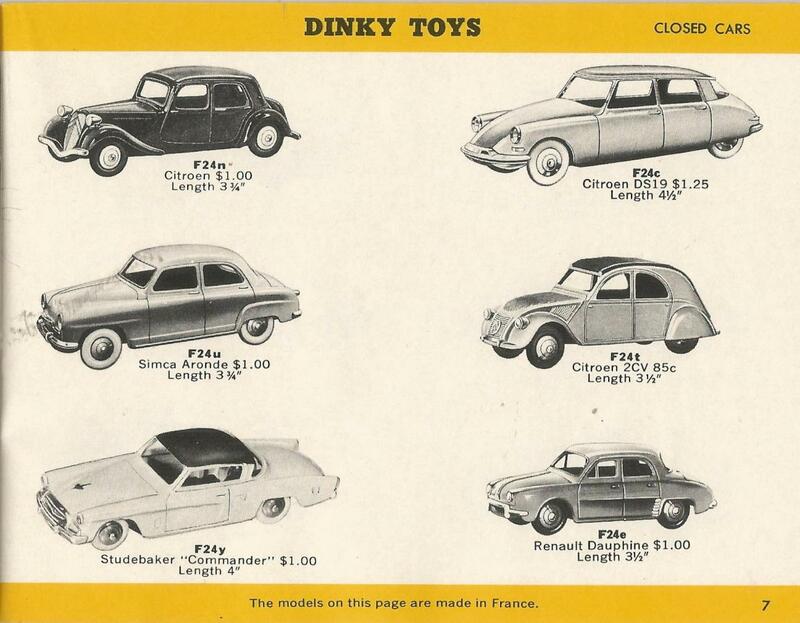 I assume that only very specialized stores in the UK had French Dinky Toys for sale and the rest of the toy shops only British Dinky Toys? 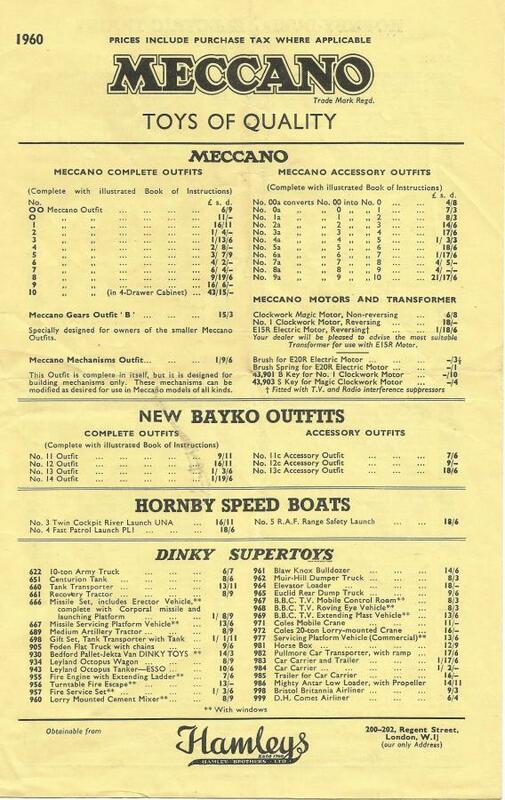 I add some pictures of Meccano price lists 1959, 1960 and 1961 from Hamleys, Regent Street London from the period that you bought your DT's from Hamleys. 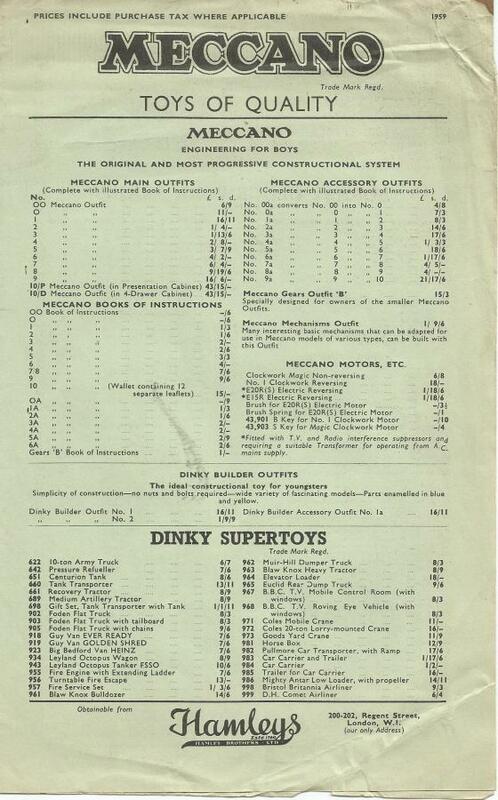 As far as I know Hamleys had his own Meccano price lists and these are very difficult to find. 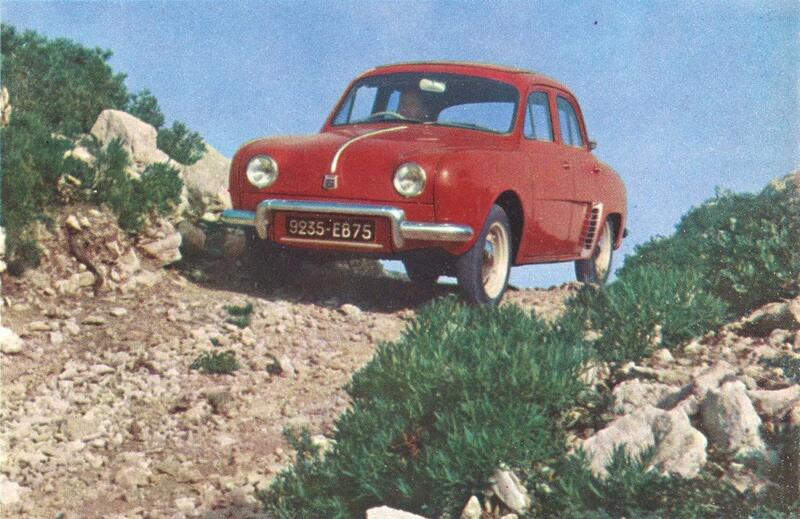 To make it more complicated ... or just more to clarify... My red Renault Dauphine with the black license plate at the front has a criss-crossed roof inside (see picture). 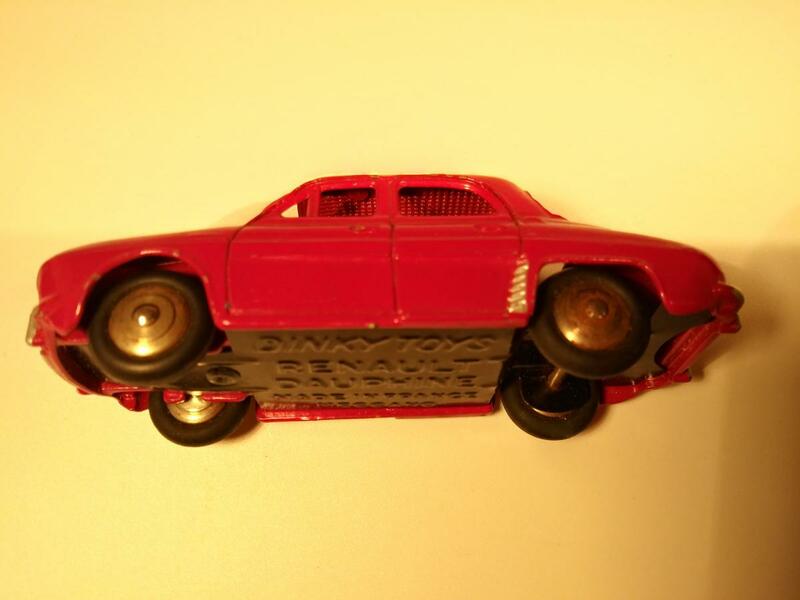 According JMR is this not the first version, because the first version has a smooth inside roof. 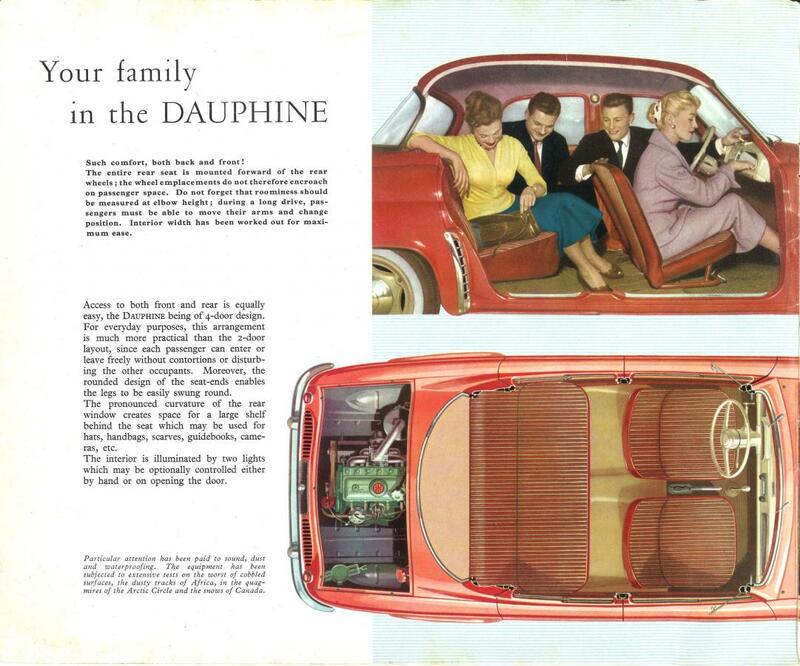 My other red Renault Dauphine with red license plate has also a criss-crossed roof inside. 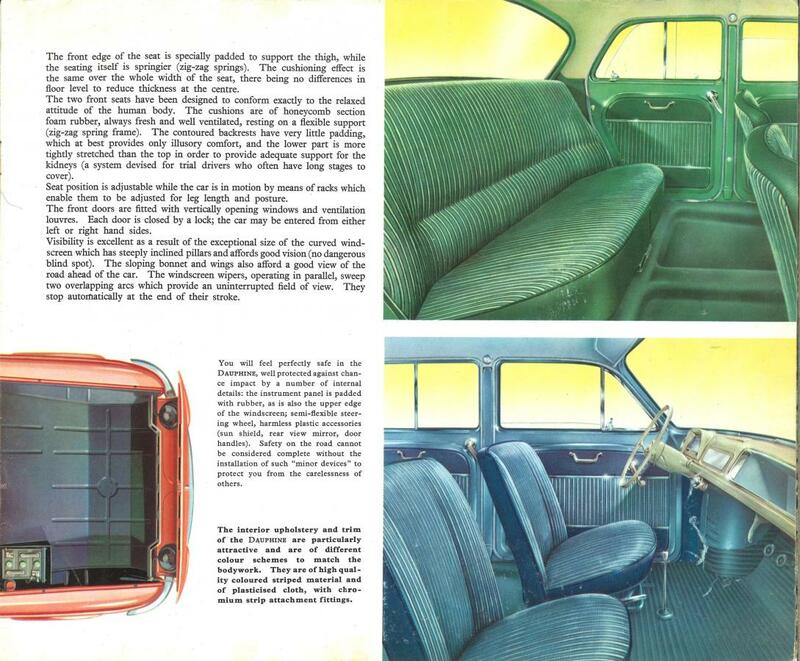 This kind of different inside roofs is also more the case with French cars such as, for example the 24V Buick Roadmaster. 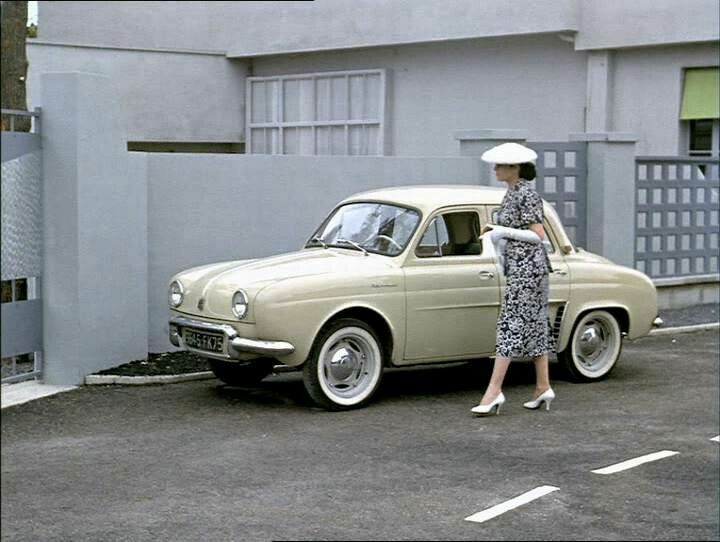 Jan—-It appears that the Renault was first issued in 1957, and from my experience with the French models, by then all of them had the hatching inside the roof. I would be very surprised if any of these had the smooth roof, being introduced that late. By comparison, the French made Buick Roadmaster was made both ways.....first with a smooth inside roof, then later with the cross cross or hatching. But those smooth versions were made around 1954-1955, well before the Dauphine being made. So my conclusion is that the black front license plate was the first version, in both red and green, followed by the body colored plate shortly after. The next change was adding windows, around 1959. And yes, you are quite right that in the USA, due to H. Hudson Dobson, we did have access to many of the French produced models. I well remember buying my black Citroen 11BL in 1956, and recognizing early on that it was slightly different than its English cousins. 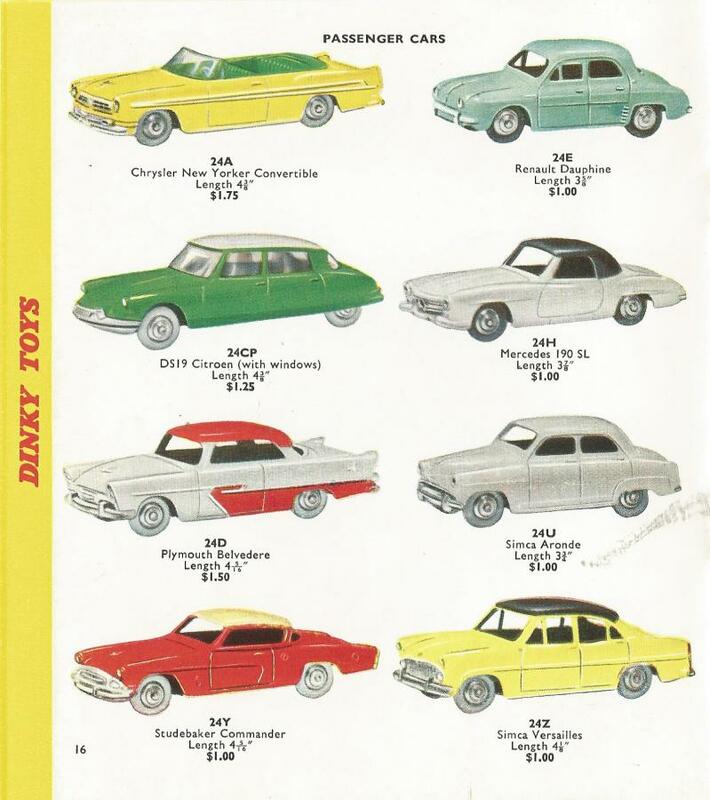 It started a love affair with the French Dinky Toys that has continued all of my life. You seem to have found a rare early model. To complete this topic, here under you wil find my Dauphine team. And the family's queen : the colour try in "bronze" with windows and concav hubs. What a fabulous Dauphine collection, Richard! Is that "bronze" on the color try the same paint that was used on the Renault Floride? Richard - an impressive collection of Renault Dauphines. Is there a green one between it? This is, perhaps due to the light, not easy to see. Terry's one in comment # 2 is clearly green and looks darker than yours. That of you looks more like the light green / grey side. Very special that one with concave hubs and white tires. Hard to find I think. According to Ramsay only available in 1960-61 and became individually unavailable in 1961 but remainded in Gift Set 503 up till 1964. Then I have a question to you about the inside roof of your collection Dauphines. My two red Renault Dauphines (1 with a black and 1 with a red license plate) both have a checkered roof on the inside (see photo). Do you have one with a smooth inner roof? Thank you to both of you for your nice words. No Jonathan, it's not the same colour ! it's (for me) a grey/green. I add a photo comparing with the Floride which is really green and the Opel more grey ! And also an another photo of the Dauphine in a better condition. -No smooth roof in my collection and I think that the smooth roof don't exist for the Dauphine. -the "bronze" model is a plant try. it is one and only. 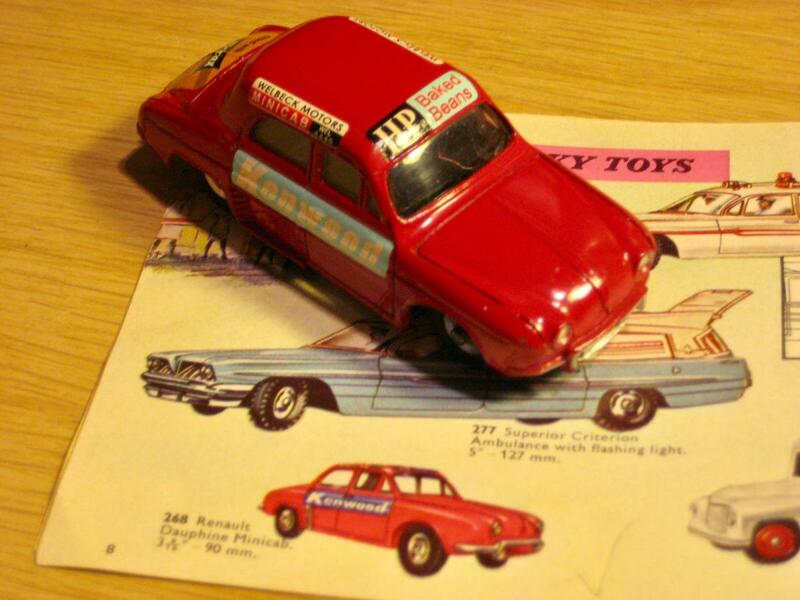 quote - Jan—-Very nice writeup on this popular French car that Dinky Toys modelled so well. 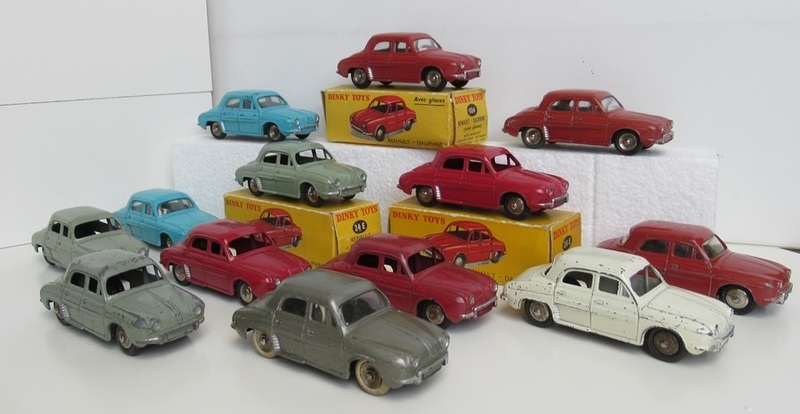 I have often wondered why they did not model the earlier 4cv, as it was exceedingly popular and around for quite some time. - unquote. The Fregate was planed and the drawing job N° 20 106 was drawn in Liverpool. The catalogue number 185 was given to this project. 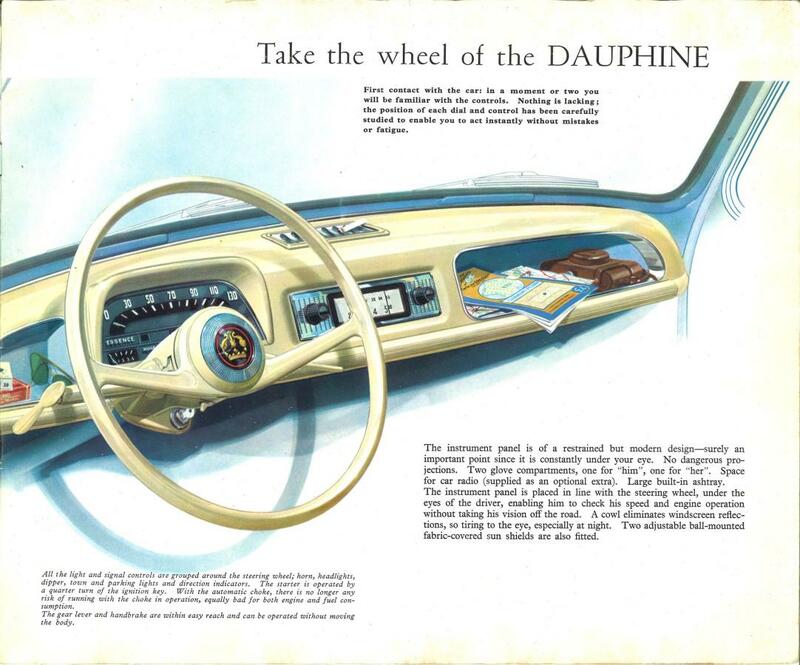 The glazed windows were added to the Dauphine in January 1960. There are some rare issues. The white Dauphines are probably the pilot lot. 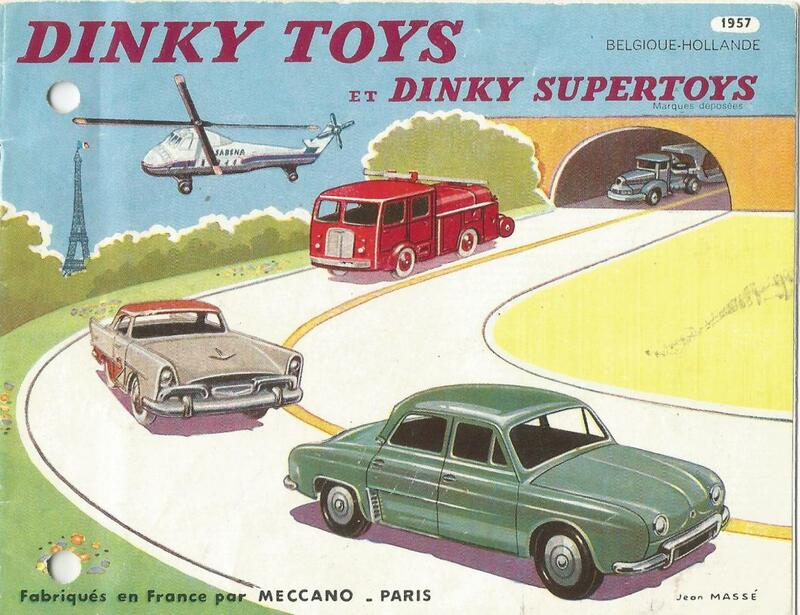 In the early 1960’s the Dinky Club de Paris paid a visit to the Bobigny factory. They were presented with a special colour run of Dauphines, a deep blue that never appeared again. As a result it is very, very scarce and to find one in this condition is a real treat. This very near mint boxed example has window glazing and convex hubs. The end flaps of the boxes marked 24 e were covered by stickers marked 524. This model has also been offered as a price for a competition of the Meccano Actualités news sheet. End of production model with window glazing and concav hubs. A rare light blue finish often called turquoise also with concav hubs. I heard that in 1945 Ferdinand Porsche was captured and made to work for Renault. He would have designed the 4cv which is based on the Beatle. 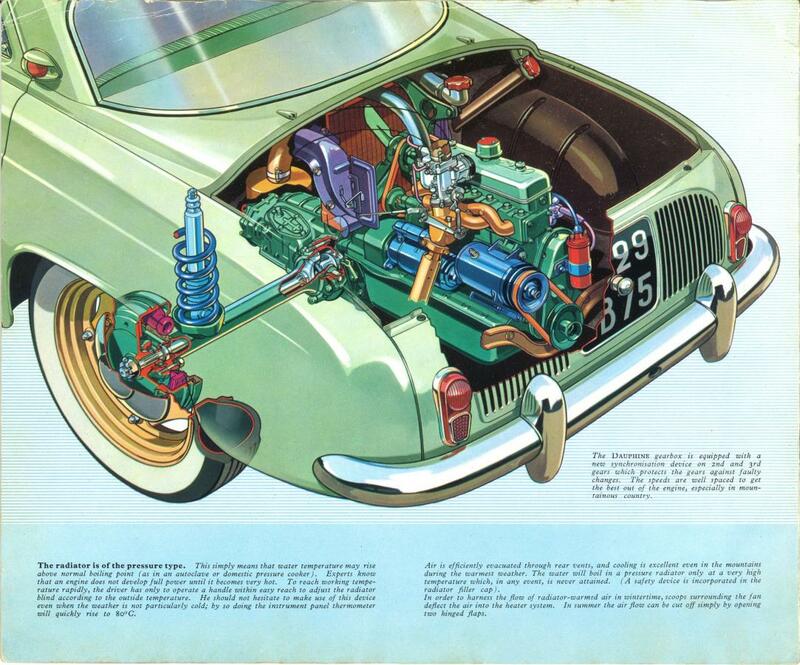 The Beatle was in fact copied from a pree war Tatra. 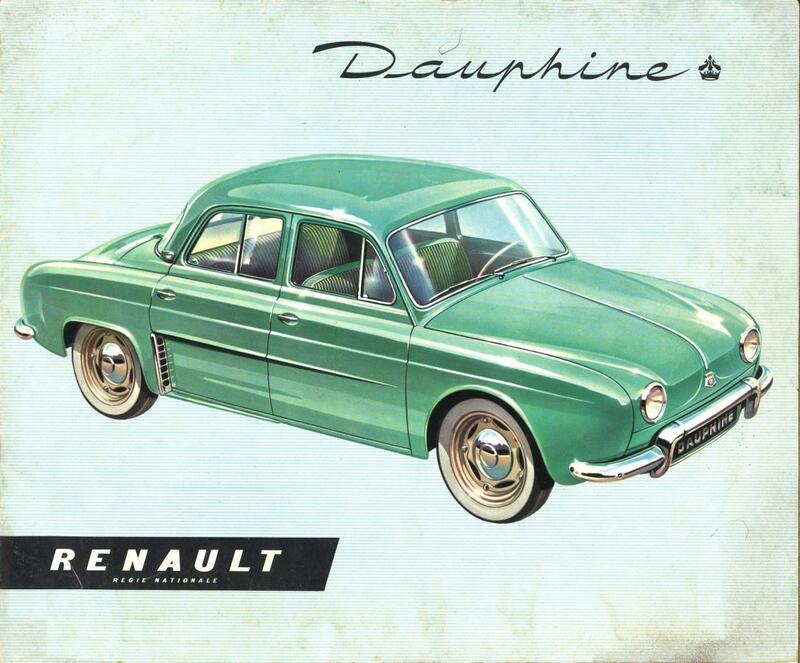 The 4cv was the first of a long line of Renault : 4cv, Dauphine, R8, R10. The road holding of these cars was apaling and as the cars got larger it became worse and worse.